One of the down sides of having Coeliac Disease is deciding what to eat, particularly if you’re trying to eat healthily. Yes it’s amazeballs that you can now get gluten free pancakes and croissants but if you’re trying to lose weight these gluten free alternatives aren’t too kind on the waist line, unless you plan on burning off an additional 500 calories a day. No thank you. One can all too easily find themselves in a groundhog day food slump, rotating the same bog standard meals and when meal times start becoming dull and tasteless, you know it’s time to make some changes. Having to live on a gluten free diet shouldn’t be seen as restrictive when it comes to the foods you can eat- it simply means you have to be more adventurous and open to discover new foods to ensure that you have a varied diet. This year I set myself the challenge to discover new and exciting foods that are naturally gluten free and that can be eaten by the whole family. My mini nutrition tutorial with Madeleine Shaw (catch up on that here!) left me feeling much more conscious about the foods I consumed and since then I’ve said goodbye to my cereals, bread and pasta. I’m yet to notice any major rewards of this, but with time (and exercise!) I’m sure it will be immensely beneficial to my health. So here’s the first in a new series of gluten free food related posts which can be enjoyed, tried and tested by everyone. After all gluten free is the way to be…! 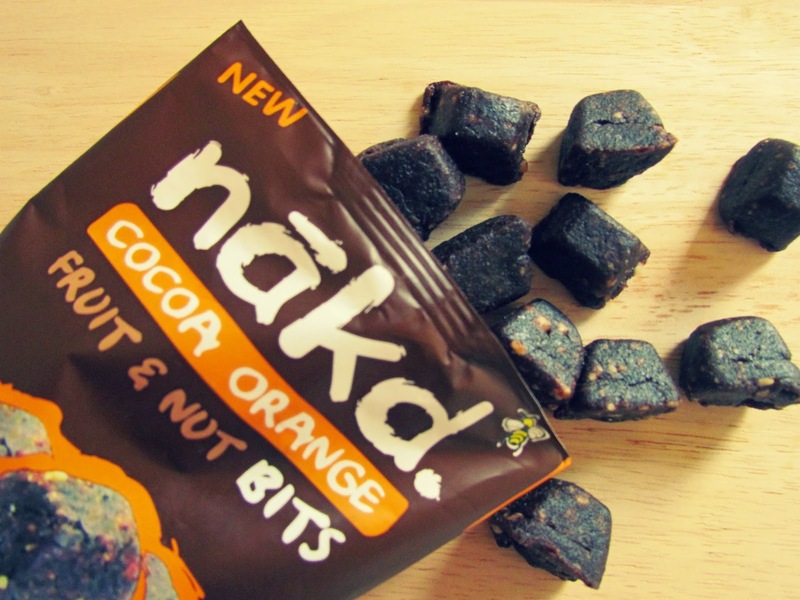 I first mentioned these yummy treats here, but since then have discovered their new Nakd Bits and I’ve become addicted. Made using 100% natural ingredients and no added sugar, (basically just raw fruit and nuts all squashed together) these tasty snack bars are not only gluten free, but wheat and dairy free too. They have become my go-to snack when I’m feeling peckish and make a perfectly good substitute instead of a biscuit with your tea in the afternoon. My favourite flavour is the Cocoa Orange, but the Cocoa Mint and Pecan Pie are pretty darn good too. I could have written an entire post on these tiny but powerful seeds. 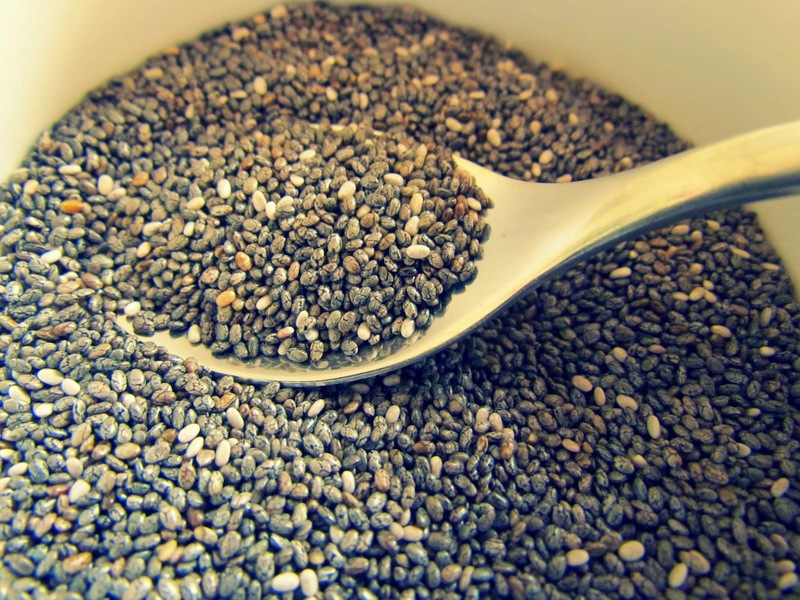 Dubbed as one of the healthiest foods on the planet, Chia Seeds are loaded with nutrients that can have a positive benefits all over. The tiny black seeds are from the plant, Salvia Hispanica and grows in South America, in case you’re wondering. 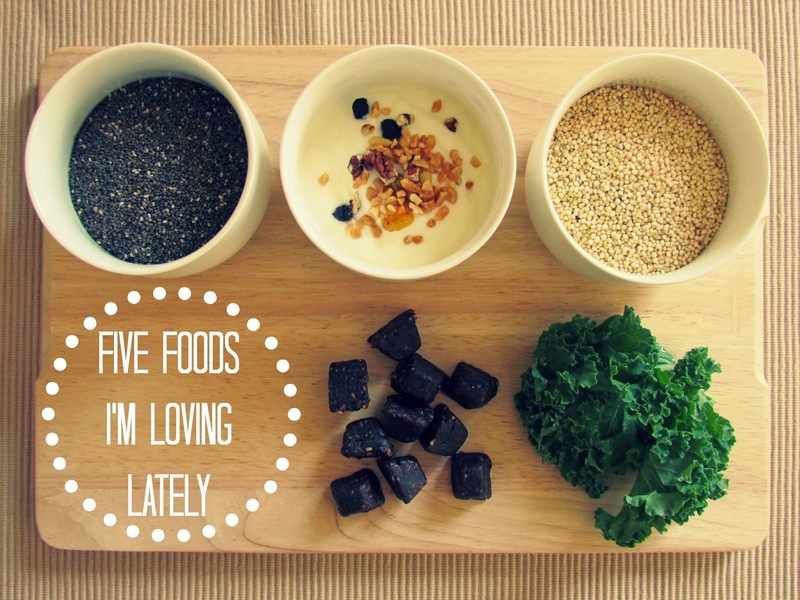 Bursting with fiber, protein, calcium, Omega-3, Chia Seeds are high in antioxidants, along with a ton of other good stuff. I’ve found the best way to get my Chia Seed intake is to put a teaspoon in my water bottle, give it a swirl and drink. Chia Seeds are fascinating when mixed with water- they form a gel/cell like exterior which is said to help cleanse your system and flush out any toxins in the body. OK, so it does feel like your drinking bird feed- but it’s tasteless and worth it for all the health benefits that come from such teeny weeny seed. As well as in water, I’ve used these super seeds in stir fry’s and smoothies and I plan to give these Raw Ginger Nut Chia Seed Cookies a go too…delish! For a while I found it hard to swallow yogurts. 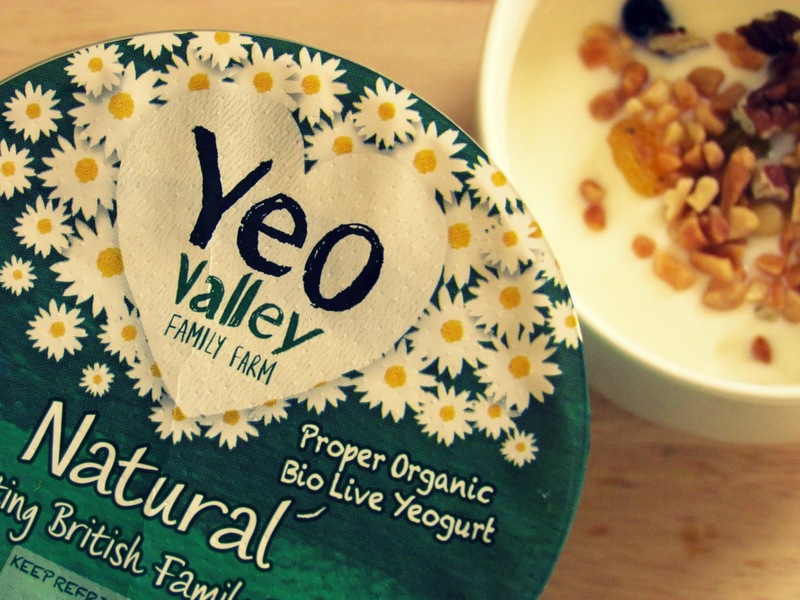 Don’t laugh…seriously I really didn’t like the texture, but recently I’ve discovered the very delicious Yeo Valley range I’m now a yogurt addict! I’ve been loving their organic range for breakfast- on it’s own or sprinkled with crushed nuts and seeds, as well as using a generous dollop or four in a smoothie. Yum-my! 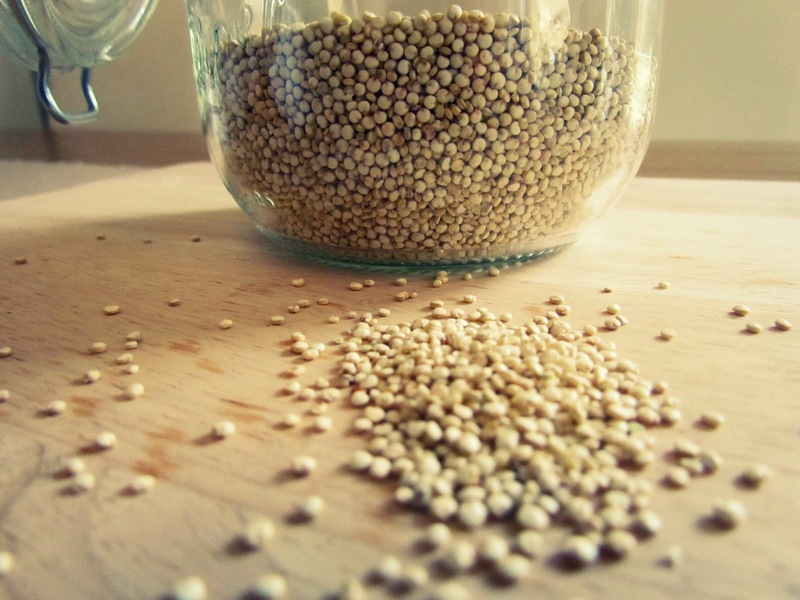 Another small, but super food that I’ve been loving lately is Quinoa. This minuscule grain is becoming increasing popular as a source of protein, containing essential amino acids (which play a key role in transporting and storing nutrients in our bodies…I think…it’s all a bit technical) Tipped as a ‘super-crop’ for it’s super health benefits, Quinoa contains fibre, magnesium, iron too. It’s naturally gluten free and apparently easy to digest. Bonus. It’s important to soak Quinoa before cooking to drain it of its bitter coating. You then cook it pretty much like rice- bring to the boil, simmer and cook for about 15 minutes. I’ve been cooking mine using a stock cube to add a little flavour before mixing the puffy grains with cooked chicken and vegetables. Yum. Once cooked, it’s fluffy in texture and light in taste- very similar to rice and couscous- but so much more tastier. For a more adventurous dish try this avocado salad, stuffed peppers or spicy Cajun chicken. 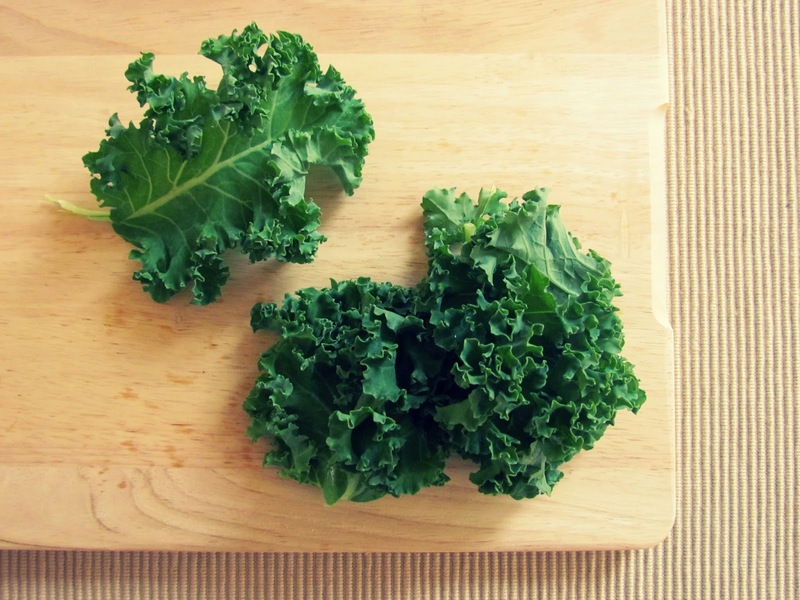 Have you tried and tested any of these gluten free foods? Let me know in the comments below! Disclosure: This is not a sponsored post- I put this little yummy feature together all by myself.